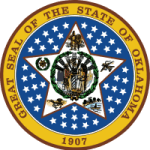 In Oklahoma, many parents whether custodians or non-custodians engage or are obligated to pay for child support. Being one of them, you have to utilize the available services that aim to make the exercise easier and better to manage. The idea is to find a way that saves time and makes your commitment as a responsible parent effortless. Step 2: Enter your customer ID, PIN, and then submit. You have to use a unique PIN which is a passcode to access your account. Such a code may not be available to you as you may forget it. If such is the case, you can reset it and create a new one to help you access your account. Call 405-522-2273 if you cannot remember your PIN number to get help on how to retrieve it. Step 3: In option 3 you will find a number to call or how to send an email to get the customer ID and PIN. You want to save the time of having to go to the bank and deposit money for child support. Also, you want to have access to your child support details and the current status of your account at all times. This is what you get when you enroll for the service. It helps you to achieve flexibility in managing your account.